Having to go through a water line replacement can cause damage to your yard, sidewalk, or other landscaping features on your property. If you need new landscaping, what should you do? You could try to tackle the problem on your own. After all, you probably have some ideas about what you want your yard to look like. But do you really know what it takes to complete a landscaping job? Do you understand the particulars of your local climate and which permits might be required for your projects? Your best option is to contact a professional landscape design company with skilled landscape architects and landscape designers who know how to handle this situation and give you back your yard again — but better! Why not use this unfortunate occurrence as a chance to finally have the yard of your dreams? Create an inviting place with curb appeal you will enjoy and love to show off for years to come. If you’re in the Alpharetta or metro Atlanta, GA area, Outside Landscape Group can help you design and create your perfect yard. And best of all, we can do everything for you, from design to construction and everything in between. 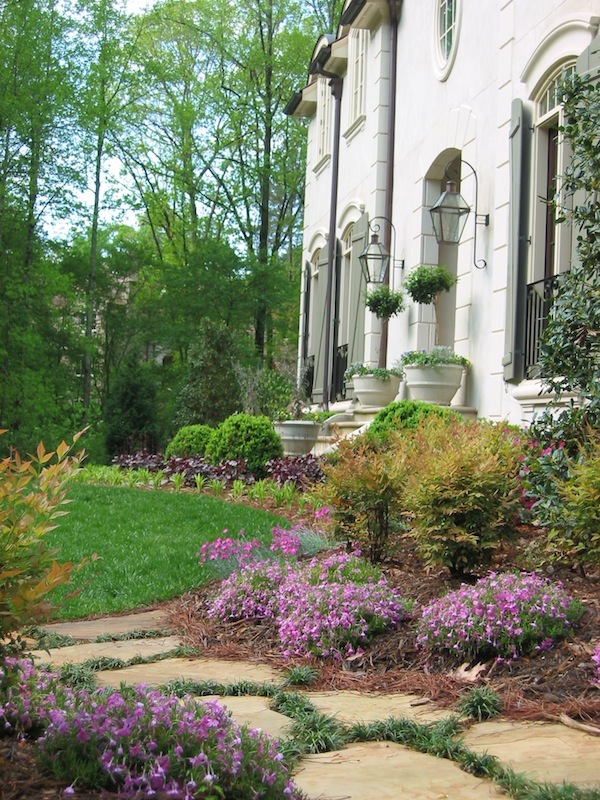 We provide comprehensive, full service landscape design and construction. Our experience is sure to save you money, time, and effort in the long run, whether you want a simple garden or a complete backyard oasis. After you contact us, we will meet at your home and talk in-depth about what you want and need. We create customized design ideas for every client and want to ensure you are “WOWed” in the end. During this initial consult, we also discuss your budget, take pictures, and get an overall feel for your property. Outside Landscape Group is different than many other landscaping companies. Our trained, highly skilled, and experienced architects and crew are able to design, manage, and execute the entire project. While we are working, we keep the construction area clean and safe because we understand we are working on your home, a place where you, your family, and your pets live. A place you could be amazed to call your own, where your outside dreams come to life. As a design-build company, a single contractor contracts the design and construction of all projects. This type of system is in contrast to a design-bid-build system, and allows us to minimize risks and reduce costs for you. To see all of the services we offer to turn your water line misfortune into a beautiful yard, click here. We have a successful reputation in residential landscape development. Check out our before and after landscaping shots to get an idea of the transformation we can create for your property. And don’t only take our word for it. Local magazines have featured us and we are an A-rated company in Home Reports. Water Line Replacement Got You Down? Give us a Call Today! If you need new landscaping after a water line replacement or other problem with your residential property, and you’re in the Alpharetta or Atlanta metro area, call Outside Landscape Group at 770-481-8335. We want to amaze you with our landscaping results!